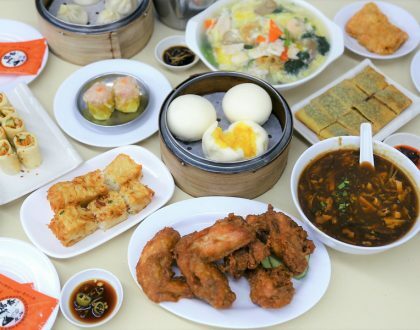 [Hong Kong] Many Singaporeans are no stranger to Tian Tian Chicken Rice at Maxwell Food Centre – the delicious smelling hawker stall in Maxwell Food Centre with that snaking queue after both Anthony Bourdain and Gordan Ramsay ordained this stall and Michelin-fame found them. What surprised me though, was how they were also THAT well-known in Hong Kong. 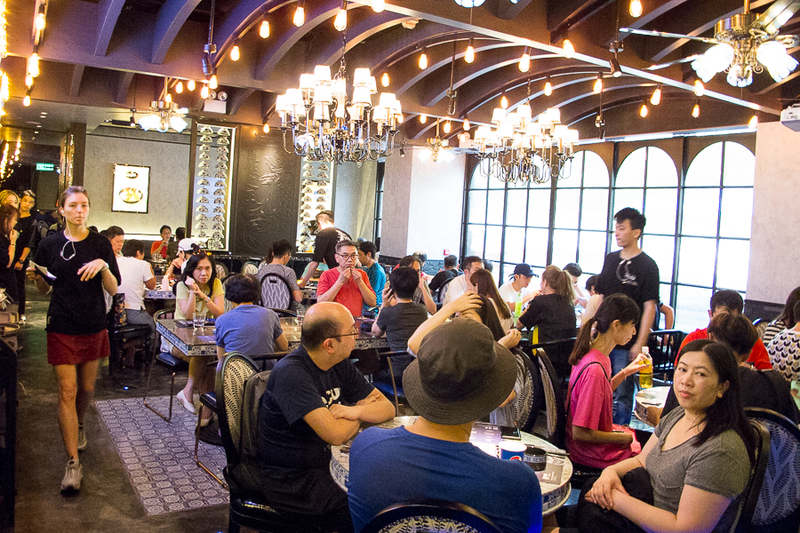 Opened less than a week ago, this 3,800 square feet restaurant that sprawls the ground level of Fashion Walk Causeway Bay has a hungry beeline queuing outside in 35 degrees heat waiting to get in. The brain child of Charles Choi, a chief executive of a public-listed garment company in Hong Kong, Tian Tian Plus is a celebration of three different Michelin Bib Gourmand or listed Singaporean eateries – Tian Tian Chicken Rice, A Noodle Story “Singaporean-style” Ramen and Lao Jie Fang Beef Brisket Noodles (from Mei Ling Food Centre), along with The 1950s Coffee 五十年代咖啡 (from Chinatown Smith Street) offering Singaporean-style beverages. Despite the long line, the queuing system was surprisingly orderly and priority was given to elderlies and families with younger children. A round of ice water was served to customers waiting in line under the hot sun. Do I smell some good old Singapore Airlines services there? 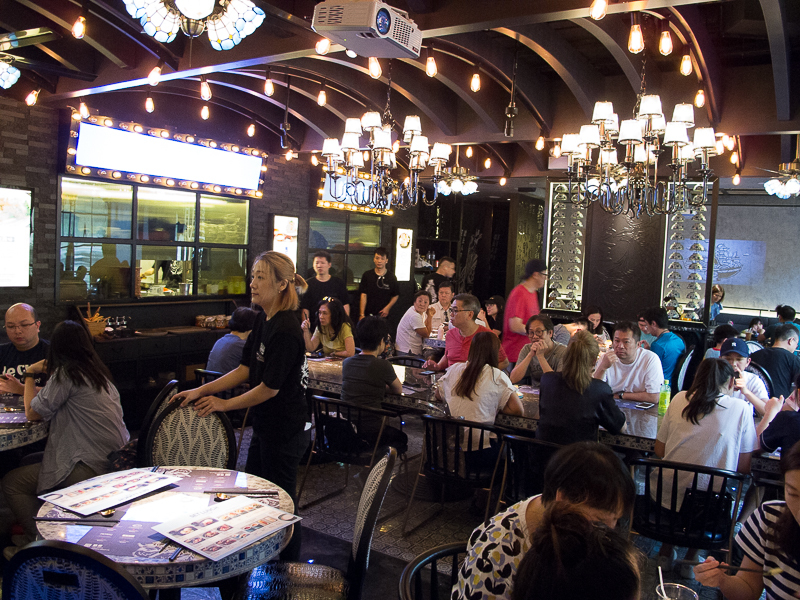 My eyebrows lit up when there was actually music playing in the restaurant (albeit a bit too loud) – something usually not so common in Hong Kong. 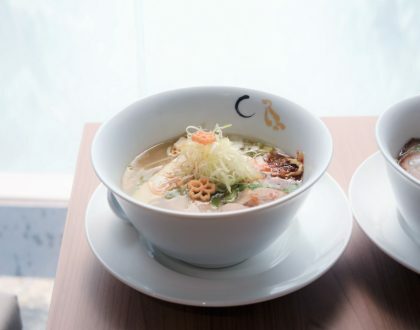 I was hoping to have a whiff of that chicken rice scent greet me when I entered but the place was scented more like an aspiring fine dining restaurant – oriental accented, fancy lightings, dark romantic ambience with marbled tables but with comfortable seating. 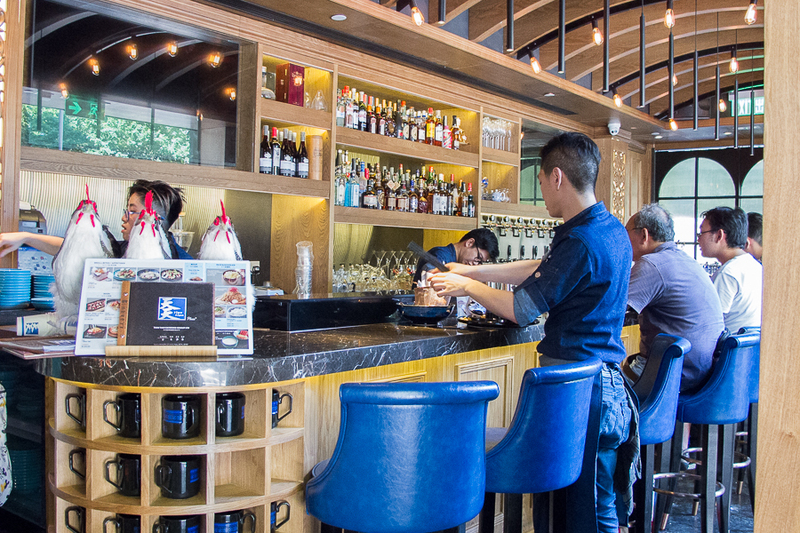 I was shown the set lunch menu that had 7 staple items to pick from, with a drink of iced or hot coffee, tea, lemon tea or barley drink for an additional HK18 (SGD3.10). A quick glance around and most tables ordered chicken rice. 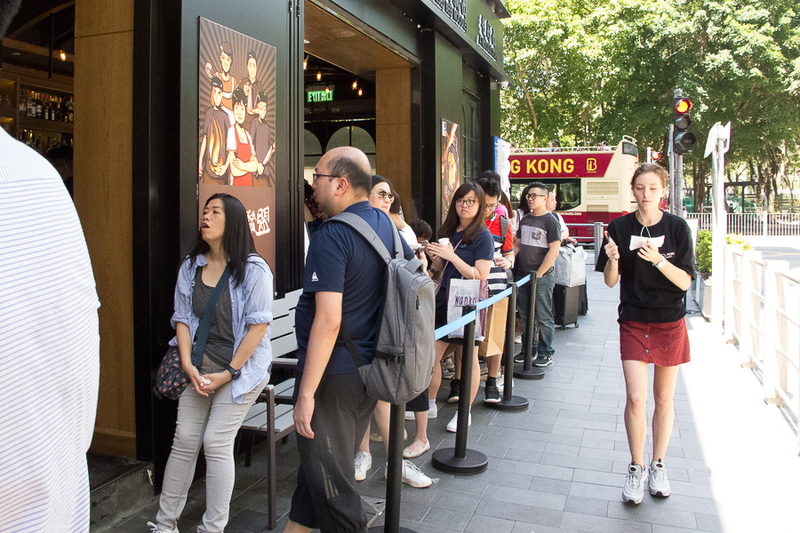 I was curious if anybody queued that long to actually taste the other 2 signature noodle items. 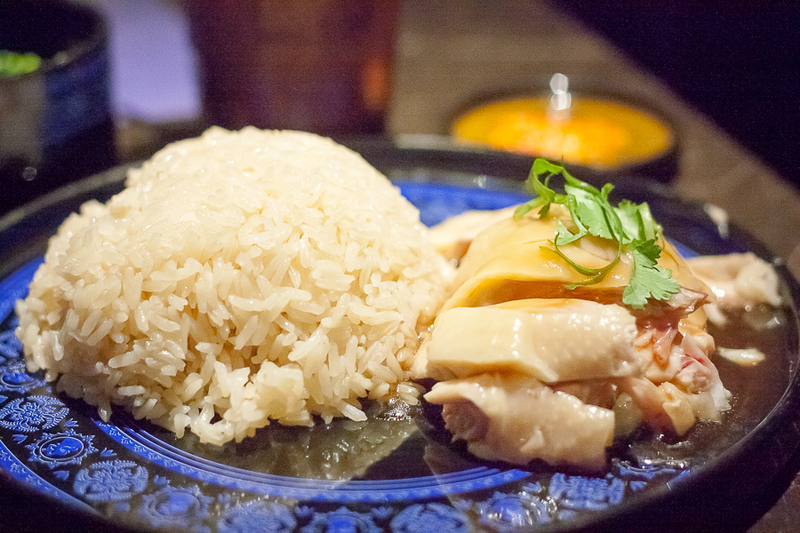 The rice from Tian Tian Hainanese Chicken Rice (HK80, SGD13.80) was aromatic, chicken was tender, smooth and melts in your mouth, just like how Tian Tian tasted in my memory. 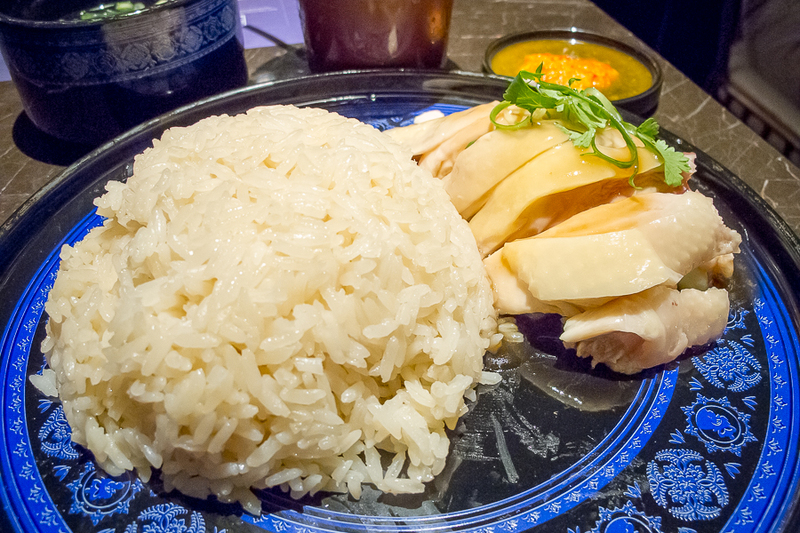 The plate of chicken rice was served with a chopstick and a dining spoon – definitely the first time I have eaten chicken rice off a plate that way. 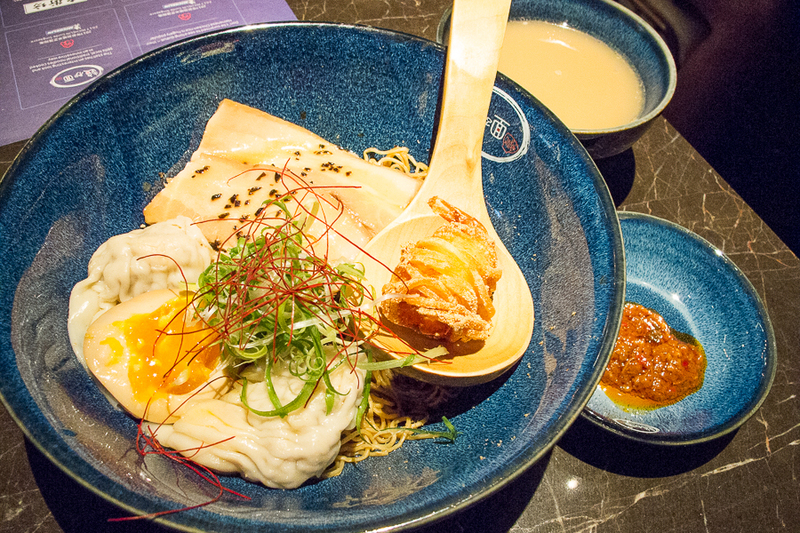 As for A Noodle Story’s Noodles with Deep Fried Shrimp Wanton and Japanese BBQ Pork (HK88, SGD15.20), it was pleasant but it feels like the sauce needed a bit more oomph. 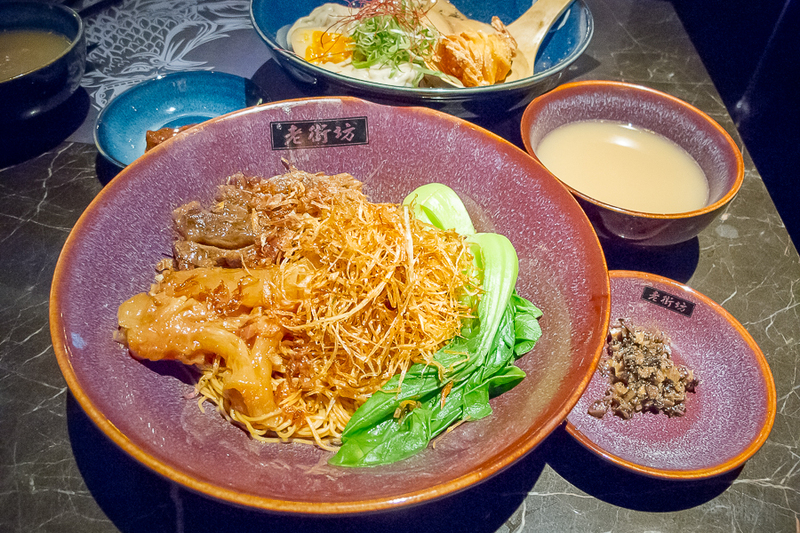 I also tried Lao Jie Fang Noodles with Braised Beef Brisket and Tendon (HK72, SGD12.20). The flavours were there but the brisket was a little on the dry side and tendon wasn’t as soft as the local Hong Kong versions. 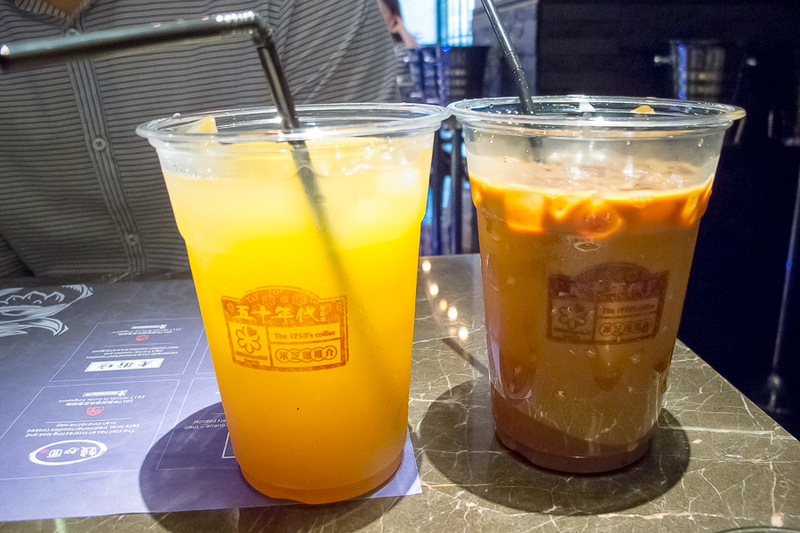 The Iced Lemon Tea from The 1950s Coffee was lackluster, and the Iced Coffee too strong a brew that tasted too bitter for my taste. With Toastbox having a strong presence in Hong Kong, my money would go to them if I needed my dosage of “kopi” (coffee). 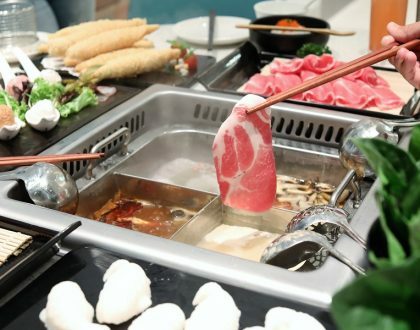 With a restaurant named Tian Tian Plus, it is obvious that the limelight falls on Tian Tian while the other food offerings play second fiddle. Would I queue again for the chicken rice? Yes. 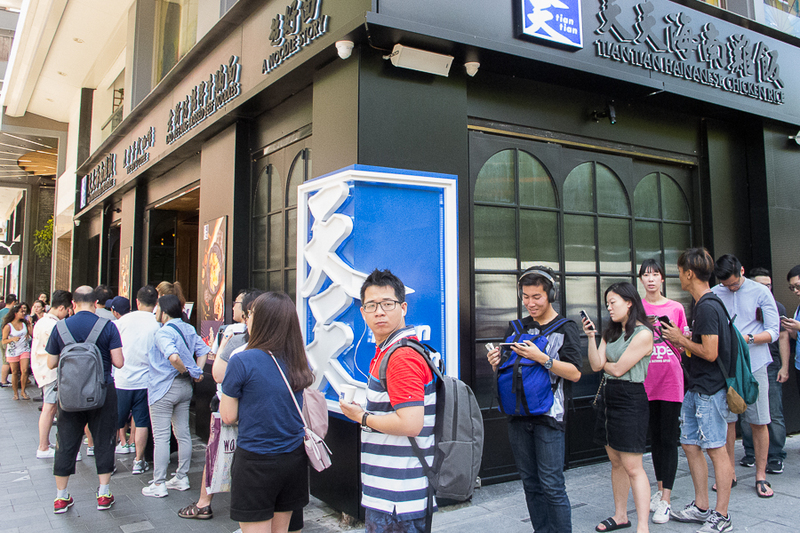 Would the Hong Kongers stand in the queue for the other items on the menu? This is a challenge for the Motherland of springy noodles, fresh wantons and beef brisket.